*Vital ET™ is a trademark of Ashland Global Holdings, Inc.
+ Neutral shade infused with a green undertone neutralizes redness instantly to rebalance skin color. + Chemical-free SPF 50 sunscreen utilizes minerals for UVA/UVB broad spectrum protection. + Helps soothe and calm irritated skin; providing ongoing relief from redness and other symptoms related to sensitive skin. + For more detailed information on benefits, read our why you should use All Calm page. How often should I use All Calm™? Apply All Calm™ once a day as the last step in your skin care regimen and just before foundation. 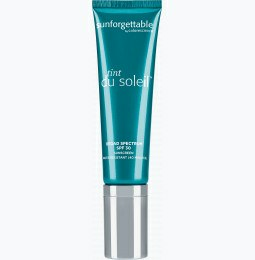 Apply Sunforgettable® Brush-on Sunscreen SPF 50 every two hours for continued coverage and optimal results. Can All Calm™ be applied to eyelids? Yes, All Calm™ can be used on eyelids, and anywhere redness appears. However, avoid getting the product in your eyes. How many pumps do I need in order to achieve SPF 50 coverage? Apply 1-2 pumps of All Calm™, spreading evenly over the entire face for full SPF 50 coverage. Can I wear All Calm™ with a primer? You do not need to use a separate primer when using All Calm™ as it is formulated to correct redness and even the skin in preparation for makeup application. Can I make All Calm™ even lighter on my skin? To prevent All Calm™ from feeling thick or “cakey” at the end of the day, ensure your skin is lightly moisturized prior to applying All Calm™. This will allow for more even application. Is All Calm™ water proof/sweat proof? All Calm™ is not water or sweat proof. Use a water-resistant sunscreen if swimming or sweating. Can I use All Calm™ instead of other topical treatments recommended by my dermatologist? Follow your dermatologist or skin care specialist’s instructions for using All Calm™ with other topical treatments they recommend. In general, All Calm™ is formulated to be complementary to prescription or other topical treatments. Does All Calm™ come in multiple shades? All Calm™ was designed to be one shade that universally neutralizes red tones in skin. It is a corrective product that should be used based on skin concern (acne and rosacea) as a primer, rather than matching the skin color. Can Even Up® and All Calm™ be mixed? Formalized testing of a mix of Even Up® and All Calm™ has not been conducted. By using these products together, the color correction benefit would be largely compromised as the tints in each cancel each other out. The resulting mix would not provide the same correction as when used individually. How is All Calm™ different from the Calming Perfector? Although both products provide color correction, All Calm™ has subtle green undertones that instantly neutralize and balance redness. All Calm™ is formulated with the powerful BioSolace™ complex that provides ongoing relief from sensitivity and the appearance of redness. Lastly All Calm™ contains a higher level of broad spectrum UVA/UVB protection (SPF 50 vs SPF 20). What are the differences between All Calm™ and Even Up®? These products are formulated to treat two different skin concerns and therefore contain different set of ingredients that target either hyperpigmentation or redness. In addition, All Calm™ has subtle green undertones vs. Even Up® has slightly peachy color. Even UP® is a fully anhydrous (contains no water) formula while All Calm™ is near anhydrous. From a texture perspective, All Calm™ is slightly lighter weight. Where does green tint come from? The green tint is from chromium oxide. This green tint neutralizes redness. Yes, All Calm™ is non-comedogenic. As with all Colorescience® products, All Calm™ is formulated without dyes, talc, synthetic fragrance, mineral oil, drying alcohols, and harsh chemicals. Is All Calm™ gluten free? Why is this important? Yes, All Calm™ is gluten free. People who have gluten allergies may experience sensitivity when using topical products. All Calm™ is gluten free, and therefore, safe for those with Celiac disease. As with all Colorescience® products, All Calm™ is formulated without dyes, talc, synthetic fragrance, mineral oil, drying alcohols, and harsh chemicals. 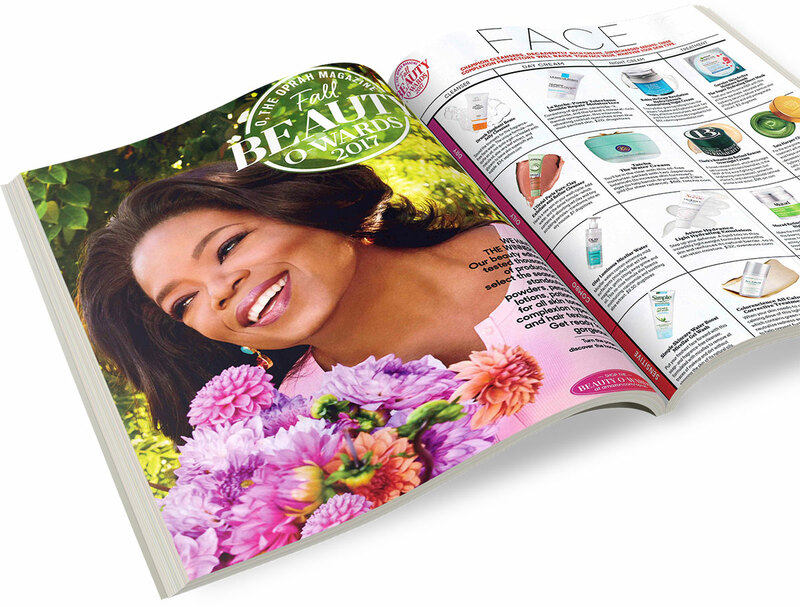 Is All Calm™ paraben free? Yes, All Calm™ has been formulated without parabens. As with all Colorescience® products, All Calm™ is formulated without dyes, talc, synthetic fragrance, mineral oil, drying alcohols, and harsh chemicals. Is All Calm™ oil free? Yes, All Calm™ is oil free. As with all Colorescience® products, All Calm™ is formulated without dyes, talc, synthetic fragrance, mineral oil, drying alcohols, and harsh chemicals. To make your experience hassle-free, we’re happy to offer free return shipping within the first 30 days of purchase. If you’re unsatisfied with your purchase, please contact our Concierge team to begin the process. Read on for the complete details of our return policy. We unconditionally guarantee our products to be free of manufacturing defects for one (1) year from the date of purchase when used as directed and maintained between 35° and 105° Fahrenheit. We take great pride in our reputation for quality and value. If for any reason you are not satisfied with your purchase, we will gladly accept returns or exchanges within 30 days of the date of purchase for any Colorescience® products purchased on Colorescience.com. Unfortunately, we cannot accept returns or exchanges for products not purchased at Colorescience.com. Our Concierge team are skin experts and love to hear from our customers. If you have any questions about application or use, don’t hesitate to call us. You can send us an email or call us at 866-426- 5673. We are open Monday through Friday, 7am-4pm PT. This is an amazing product. I have very sensitive skin and sometimes my face is just too red and irritated to use my normal makeup. This stuff goes on gray, which seems weird at first, but once it's blended in (I pat it all over my face with my fingers and then use a wet Beauty blender to smooth it out) every trace of redness is gone. Magic! It is pretty thick and feels heavy on the face, and it's difficult to put any kind of makeup over top of it, but it's worth it to calm the redness! This is an expensive product but I've never come across anything that's as effective for color correcting. 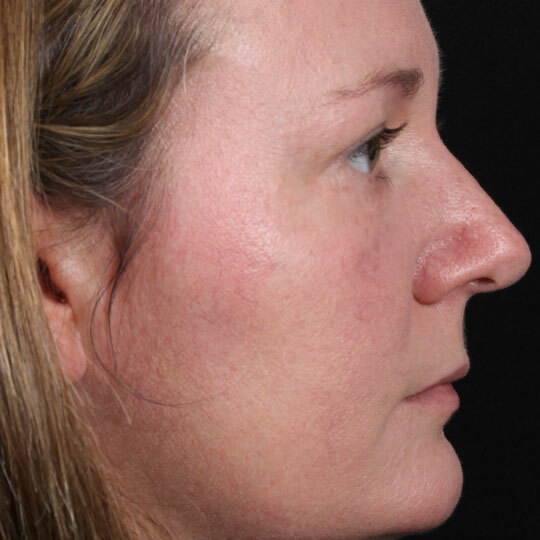 Awesome post procedure micro pen or non ablative laser treatments. I love how it is safe to apply post procedure and it has healing effects and looks great. I also use when going skiing or on the water where I will get a bunch of reflective sun. I feel like its an armour for my skin against the harmful rays of the sun. Your skin must be moisturized before you apply if it will be too thick and dry. Blends well and settles in the skin nicely. This is a great skin cover up for after a treatment. My faces naturally becomes bright red, and this product helps to conceal and soothe. Love this product for after laser treatments to help sooth angry skin. I have been using my samples I had saved up and my skin looks so nice. 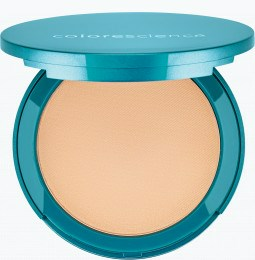 I have been using it as a primer under my colorescience powder foundation and it stays on all day and into the night. Love love love All Calm! I mix it with my non-tinted creamy sunscreen and apply to my face. Gorgeous finish. Does exactly what it says it will - reduces redness and gives a neutral smooth appearance. I love the consistency, especially after mixing with my other sunscreen. Please NEVER EVER stop making this wonderful product! IT'S AMAZING. It's everything it claims to be. My skin is constantly red, pink, irritated, but this stuff calms down my skin and actually provides some coverage. Some days I go without foundation and just wear this stuff. I gave 4 stars because of the price, not quality. I wish it was more affordable, but now that I've started using it, I can never look back. This product allows me to feel comfortable in my own skin and even makes me a little proud of my complexion. I got a sample with my order and tried it. I couldn't believe the difference it made. My complexion looked natural and even! This is so perfect to calm redness and even out rosacea. Definitely recommend! Works great for taking the red out! This has made a world of difference. Helps heal my skin after a breakout. I have minor redness on a day-to-day basis that this helps even out, but after an intense workout (inferno hot pilates) my skin is bright red! However, applying this instantly calms and covers it so I can get on with my day! 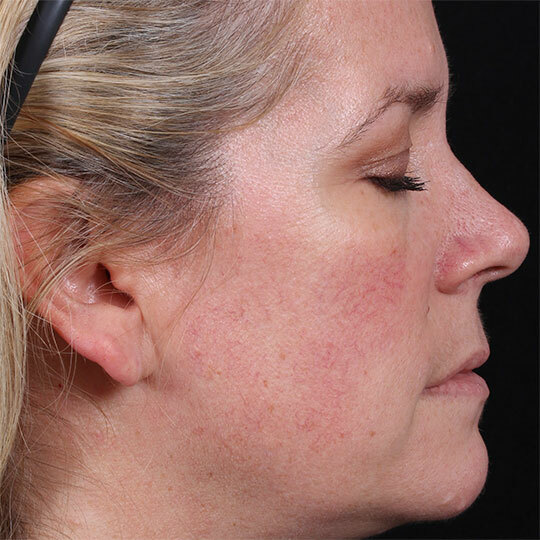 The blotchy redness from Rosacea is calmed! This really helps to create an even tone! I have never tried anything like this before. I have tried different foundations to see if they will cover the redness I have on my face and they don't work. With this product not only did it cover the redness but it's also a sunscreen. I used it on top of my moisturizer and then I added a little foundation on top of it and my skin looked beautiful!! I use All Calm everyday. I instantly see a difference in the tones in my skin. i love using this product under my tinted sunscreen. I’m in awe! I think it is a little on the pricey side...but I always struggled being consistent wearing a sunscreen, but not anymore! The first day I wore this you could tell it evened out my skin tone so much ,and my makeup looked awesome. I won’t go without it now! The redness is gone immediately. This is so wonderful to calm redness and prime the skin. It has a great neutral color. I love colorscience and their customer service is impeccable!!!! 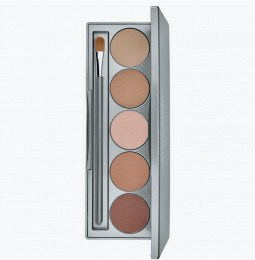 All Calm provides a calmed facial palette for my other makeup application, such as blush. Oftentimes, only All Calm works by itself for everyday wear, with the bonus of sun protection and no further sun product needed. It covers my uneven skin tone and blotchiness beautifully. 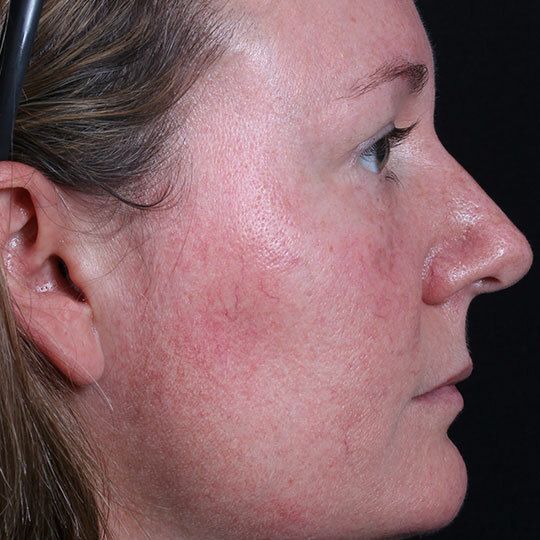 Wonderful for dealing with Rosacea! The redness is gone! Great product! Works well. Evens out all colors in my face and helps the red in my face. Blends well and I'm very pale. All Calm is the Best!! I love All Calm...it is the best for sun protection, covers and fades redness and helps improve Rosacea and sun induced skin irritation. It is absolutely amazing! Works to calm skin and correct redness. Great for rosacea. What a wonderful way to correct the redness in my skin. It really works wonderfully!! 2 stars cause it camoflauges the redness BUT even after finishing with the sunforgettable powder it gets oily and greasy through out the day. Not good for combo or oily skin. Doesnt feel comfortable. It's been so hard for me to find a product that doesn't make me look like a nauseated, green-faced alien, but here it is! I love that it is light and moisturizing. I can't even tell, even in my close-up mirror that shows every wrinkle, blemish and whisker (ack! ), that I am wearing anything. My skin just looks mellow, even-toned and creamy. Yay! I had a very bad eczema flare up several weeks ago. Not only did it cover the red bumps but soothed the irritation. I have very oily skin and redness in my cheek area. I use this product All Calm under my makeup and my skin and foundation looks great. 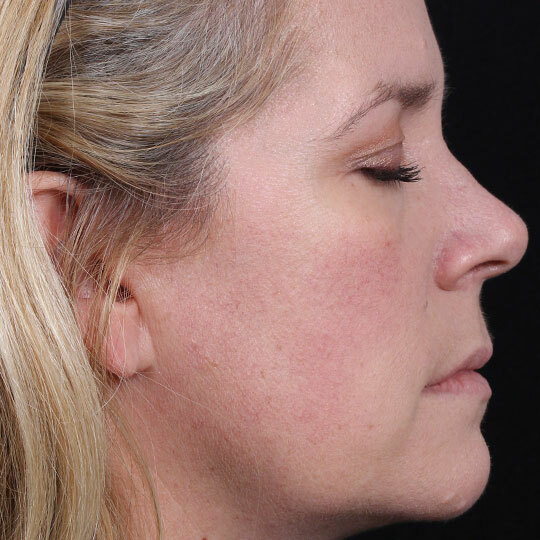 No oiliness, and redness is gone. I will keep buying this product as long as they keep making it. I've been using this product for about 3 weeks & can't say enough good things about it. It completely covers the redness on my face plus protects with sunscreen. What more can you ask for? Love it! My aesthetician took one look at my face and said she had the perfect product for me!! One light layer of All Calm completely covers the redness I’ve had around my nose and mouth my whole life. THEN... after my first laser treatment, I applied a few layers to cover my post-procedure redness and it worked so well, no one could tell what I had done! Covers my flareups and problem areas to leave my skin even and a blank canvas for whatever look I'm going for today! I cannot begin to tell you how much I love the All Calm! It goes on smoothly, is extremely soothing and definitely love how it covers redness! I grew up using colorescience, thanks to my mom who started me on it. When I hit my 20s I started to break out into these horrible hormonal cystic acne on my chin. I continued to use colorescience until about a year ago. I decided to try some other products that were along the same line as colorescience. But when I just wasn't getting the same results of skincare that I was used to I decided to go back to colorscience. And boy am I GLAD I did!!!!!! Colorescience has brought my skin back to life again! I honestly can NOT say enough about not only this product but ALL of their products! I absolutely love how all of their products make my skin brighter, younger, and helps cover/clear up my acne! Since going back on colorescience/ALL CALM, I have noticed that not only does the quality of my skin look so much better but the inflammation from my acne has gone down dramatically! I will never use another makeup/skincare line again! I am colorescience for life! Really works for my flare ups and the redness goes away. I received a sample and I used a few times before doing a review since it take a few uses to see a difference. I have oily skin so this product I had to apply in small amounts and blend with my finger. It's best to use before applying any moisturizer so it doesn't clump up. But It did help a lot with the redness I get in my cheeks. I received a sample of this really wanted it to work well. I used it on my face after cleansing and moisturizing and then this product. It went on nicely and first but then it didn't stay where I applied it. I received a free product of this product and I was not impressed. I applied the product to freshly washed and moisturized skin. I found the product to be difficult to blend and it left a very thick layer on my skin, similar to zinc oxide. I used a wipe on my skin to thin out the product and then applied my tinted sunscreen over. My skin looked almost iridescent. I have olive skin, so I don’t know if that was the issue? I would not purchase it. Game changer! Perfect to wear alone when you are in a hurry. Product goes on smooth and feels light. If you are doing a full face makeup it is the perfect base. Erases redness smooth buildable texture. This product is not really compatible with oily prone skin. Got this free sample! I really like this product and I have no more redness ! I would recommend this product. wow - it works well for me! I have tried redness neutralizing products before, but this one really worked. I have redness on one of my cheeks, my chin, and a few spots on my nose. It is so much easier to use this one product before foundation rather than loading up on color corrector and other concealers. A little goes a long way - amazing! Automatically after using this, all of my redness was gone! Even my acne scars were hidden. It looks like I used foundation! I love this! I have a red tone to my face from my Indian Heritage and I've used green, yellow and orange coverups that looked awful. All Calm made my skin have a natural look and my make up looked much better after applying this product. This ended up working better than I expected it to. I don't have a ton of redness all over, but I do have a lot right around my nose and on a few acne scars, and this really helps to mute the redness before adding on foundation. I got a sample from Poshly. Was excited to try. This product made my face white! Thick consistency that does not easily rub in. I had to apply foundation which I did not plan to! not really hydrating.. only positive was that it did not burn like other spfs do. My hunt for a good spf continues.. This masks all redness I have. A little bit goes a long way, and it feels surprisingly light on the skin. I got a sample through Poshly and was surprised at the size! Wasn’t just a little packet... I can’t believe it has SPF 50!!! That is amazing and wonderful and it works great under my makeup! I would definitely buy it if I could afford to! It’s a bit expensive but well worth it! It really did erase the red spots on my face and gave me an overall smooth look. If you’re going for a “no makeup” look I think this is an awesome product. Smooths your skin and protects with SPF. A little brow and I’m good to go! My only 2 negatives for me: I have dry with patches of flaky skin, I wasn’t a fan of how it looked on those areas. The product clung to those spots and made it more pronounced. Secondly, do not wear if you plan to take flash photos, instant ghost face! I was very happy to get this product works great. I love how this cleared up most of the redness on my face my skin has become sensitive since the winter and this helped out. This is super nice! I love this! One thing to note, this isn't really meant to be used all alone as it does have a green tint and only comes in one shade, so use it as a primer underneath makeup! It's nice and tacky so it works super well as a primer and I absolutely am in love with the finish of it. Great texture, finish, primer, and it has SPF, what more could you want? I really like this stuff! At first the smell kind of threw me off because it smelled like old band aids. I tried this out thinking it was a serum but to my surprise, it had some coverage to it. I liked applying it to my t zone where I get redness from acne. It works really well and I got a lot of compliments on my skin when I used it! I wish I loved this product, but it's just not for me. It does not blend well, and made my skin breakout. This is excellent to use after a tough workout. It calms my red face and soothes my skin. I really enjoyed trying this. I received this product for free in exchange for my unbiased review. All Clam goes on smoothly, it covers my sensitive skin and redness. It really covers well and is easy to apply! I received a sample from Poshly and I absolutely loved the results from it. I would apply on a primer on first, then ColorScience corrector, then foundation and my skin would look absolutely flawless. I sometimes have redness when I try a new product my skin doesn't like. I got the chance to try this All Calm Cream for free from Poshly and I can see a big difference. The red, sensitive area on my cheeks cleared up in a couple of days and I am happy to know I have this on hand for future areas where my skin gets sensitive. I have a good bit of redness on my face, my skin is pretty pale as well, so it shows through a lot. I like how this has the green tone to counter the red. It works amazingly under my makeup! You do not need very much, don't over do it, a little really goes a long way. I love how this product instantly corrects any redness, smoothes out my skin tone and has a nice non greasy finish. It is great to have spf protection without adding greasy sunscreen! I will be buying again for summer! I’m in love with this redness corrector / sunscreen. It is lightly tinted so you can see it working right away. 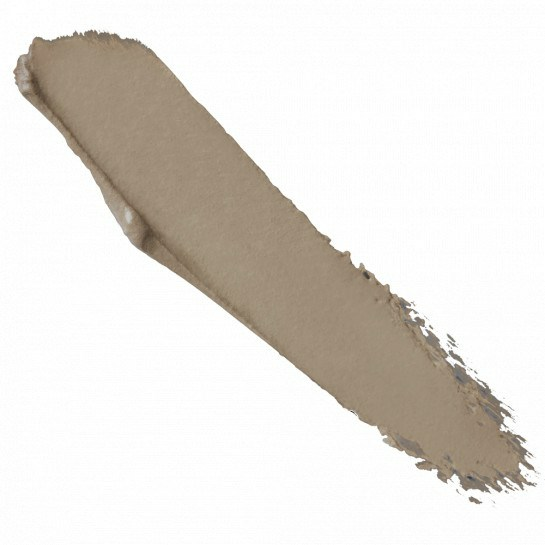 It also has a matte finish, so your skin looks great - no excess shine, no white residue. For any one with redness issues you should give this a try. It is expensive but it does what it claims and has SPF 50. At first, I thought it was too light for my skin tone, which it kind of is. But when I used less, and kind of sheered it out over all my dark areas of my face (eyes, around the nose, & around the mouth), it worked much better. Under foundation, my face seemed more even and much more radiant. I LOVE IT, LOVE IT, LOVE IT!!!!!! I got a free sample of this product from Poshly and I've fell in love on how well it works. I found I use it for my daily foundation and it works better that a lot the BB/CC creamers I've tried. It saves me time and steps in my morning routine and with the covering and calm my redness and add the SPF 50 and this is a big winner in my book. I recommend trying this one if you have trouble with redness and needing a SPF50 I bet you won't be disappointed I know I wasn't. Loved this product ,saw instant results!! No more redness on my sensitive skin!! I received a sample of this and it is AMAZING! Finally I found a product that matches my skin tone and looks flawless instead of "cakey"I love the SPF 50. This has given me confidence again! Its ok but to chalky for me. Texture is a bit chalky as an all over when applying, it doesn't seem to stay that way. It recommends applying a moisturizer first, I applied sunblock as I added my tinted moisturizer last with the redness in the middle. SPF was 45, 50 (All Calm) and 30 in the moisturizer. After washing my face in the evening no signs of additional redness after spending most of the day in the hot Hawaiian sun. Daughter has very pale bisque skin and she didn't apply it enough so it does appear to not work as well on a pale face that probably didn't need to have a redness corrector in the first place but that may help some. My skin is about ivory light but ruddy cheeks. I recieved a sample of this and I was super impressed with how well this covered redness and imperfections. It is on the thicker side so only a very small amount is needed. 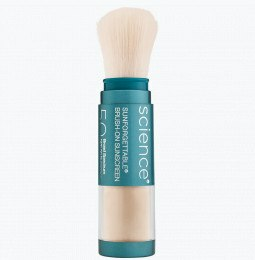 It works great with a lightweight sheer coverage foundation or to wear on its own sparingly. It had a nice smooth finish and cover my redness and my acne pretty well. I like to use it as a primer. Complete color correction! I received this product sample from Poshly and have fallen completely in love. My bright red blemishes and mosquito bites are 100% camouflaged. My makeup also lasts longer when applied after this product. Great product! i like how smooth it goes on your face and it covers up the redness especially with fair skin like mine. I like that it has SPF 50 sunscreen to protect your skin from the sun. Works great at covering up my redness as well as clearing my skin from any irritating. Very light weight and easy to apply, do not even feel like I put anything on my face. Not greasy or sticky, works perfectly with my combination skin. Makeup applies perfectly over this product. Dry happy with results. I received a sample of this from Poshly and I love it. I have a lot of redness on my cheeks and this covered it right up. I plan on saving this for June when I'm in Disney World, that way I get sun protection and color! This does have a bit of a smell to it that I don't care for. I'm not really sure how to describe it. I really wish this wasn't so expensive, I would totally buy this and incorporate this into my daily routine if I could afford it. All Calm is great because it eliminates the need for additional suncreen. Definitely a must have. The price scared me, but a little goes a long way. So this will last you a long time. I have sensitive skin, especially on my face, and a lot of redness on my face. I recieved a sample of All calm from live poshly. Since I started using it I can already notice a decrease in redness. I've only been using it for 2 days, and I'm impressed. my skin is usually red through the day and using this before i apply my makeup has been making my skin look 100% better! I’ve been using this for a few days and the coverage is amazing. It’s a little drying for me, but it’s winter. I’ll be using it again in the summertime. This product works really well to even out my skin tone - I even felt comfortable enough to go without foundation! I love that it contains SPF too, so it saves me a step in the morning! I received a sample of this product, so this is the very first time I tried Colorescience. I love this product. It has no harmful ingredients in it, and my skin feels and looks great with the tint. It was also easy to remove it after a day. Knowing that my skin's protected with SPF is another great addition!! I’ll admit, I was skeptical, but this has exceeded all of my expectations. It goes on smooth, blends easily, and left my skin looking even - which was a first! So thankful to have a solution! This product works wonderfully. It's one of a kind. It has helped me reduce my redness on forehead and near my lips area. It is very effective. The first time that I used it, I thought that it would be like in a liquid form, but it comes in a paste form. It smells slightly like cement (though it doesn't bother me at all). It feels natural on your skin. I can say that this is a great replacement for a concealer too. I have tried other brands of concealers but they don't seem to cover the red area, this one does so! It also instructs to use it liberally but I actually didn't need to use much of it to see a difference. It's kind of expensive though, but it's effective. I really want to use it a little bit so I can save it for a while just because it's too costly. I received a free sample of this product for testing and reviewing purposes. All opinions are 100% my own. Im in love with it. It is so gentle on my skin and also reduces my red areas on my face. This calming serum works amazing! I recieved a sample of this product from Preen.me. Upon initial application my skin was indeed smooth and balanced in appearance. This product reminded me of the consistancy of the PoreFessional primer from Benefit. This product however was much easier to apply, spread further, and counteracted more redness. Unfortunately, it did not interact well with the several foundations I tried it with. I ended up seeing separation and lifting of the product after several hours. I think I’ll stick to “no makeup” makeup days with this product, and highly recommend it for this purpose rather than as a primer! Even though I have redness in my skin I prefer a more natural look, this is heavy but a little goes a long way. This color really blends in nicely if you tap it in, does not look thick. Has a slight strange smell but it works really well so I can overlook that. I’m very happy with this. I have red pimples on my forehead and when I use this it really calm the redness. Love this! It works immediately. Very Effective Product For Sensitive skin! My skin is very sensitive. 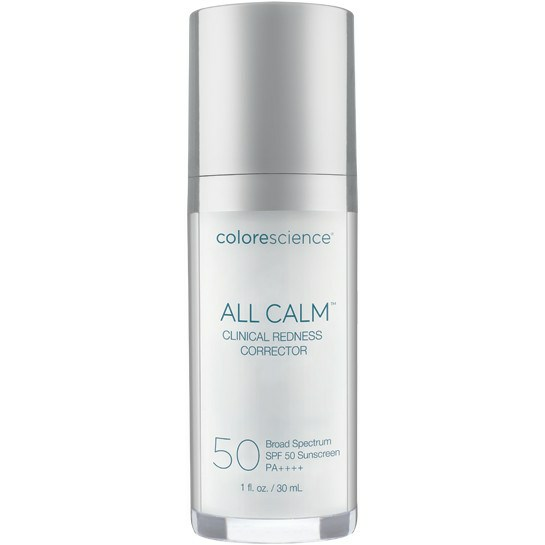 This All Calm Colorescience helped a lot in taking care of my skin from UV rays. It clearly reduced redness on my face in just one use.